Beleura Private Hospital is focused on the delivery of high quality, safe, and effective clinical care. We strive for high reliability and aim to create an environment in which risks and issues are anticipated, identified early, and responded to rapidly. Ramsay Health Care’s slogan “People Caring for People” was developed more than 25 years ago and has become synonymous with Ramsay Health Care and the way we operate our business. We recognise that we operate in an industry where “care” is not just a value statement, but a critical part of the way we must go about our daily operations in order to meet the expectations of our customers – our patients. Ramsay Health Care Australia is centred on People Caring for People. Our Framework reflects the central role our staff, credentialed clinicians, consumers, patients and their families, play in the provision of high quality clinical care. ongoing support for, a comprehensive staff health program. Following an adverse event, consumers and patients are supported and openly informed of what occurred. from the complaints management processes is utilised to inform organisational improvement strategies. The identification and dissemination of best practice is encouraged across the organisation. The promotion of policy, procedures, care pathways, and models of care which ensure high quality, safe and effective outcomes for patients is supported to reduce variation and ensure the consistent application of best practice. The use of data to identify high performance and opportunities for improvement is encouraged. Transparency in reporting is embedded across the organisation, and reported patient safety and clinical quality data includes reliability measures, both process and outcome measures, and is appropriately benchmarked wherever possible. Human Factors is recognised in system redesign and capital changes to minimise the impact on system safety. Education and training of the workforce in human factors design is available. Human factors design is considered in the implementation of changes to clinical and organisational practice. The workforce is encouraged to identify the opportunity for, development and implementation of, local improvement initiatives. Support for improvement initiatives is provided, including the provision of education and training in improvement science. Quality improvement initiatives are recognised across the organisation. 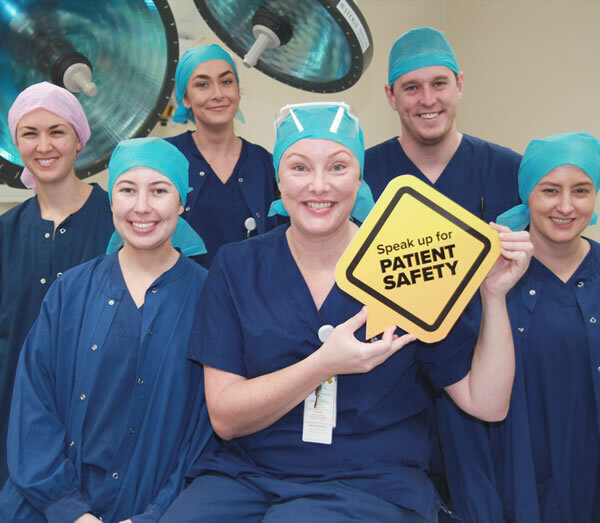 Ramsay Health Care Australia recognises a positive safety culture and a focus on effective teamwork and resilience can reduce adverse events and improve clinical outcomes. To ensure high quality and safe care, Ramsay Health Care Australia promotes a culture that encourages and supports: the reporting of, and learning from, incidents; building effective leaders and clinical teams; and, staff and credentialed clinicians to speak up for patient safety. A culture that supports all staff, both clinical and non-clinical, and credentialed clinicians to speak up when then they perceive a patient to be at risk is encouraged and promoted. The Vanderbilt framework for Promoting Professional Accountability is adopted across Ramsay Health Care via our Speak Up for Patient Safety initiative. The implementation of team based improvement initiatives are encouraged. The organisation supports openness, transparency and analysis of incidents to provide team based learning opportunities. Practices to support effective team work are encouraged including team based bedside clinical handover, active patient rounding, and the implementation of safety huddles. The development of effective clinical leaders, and identification of emerging clinical leaders, is promoted across the organisation. Leadership training is provided and practises of effective leaders are encouraged including executive walk rounds. 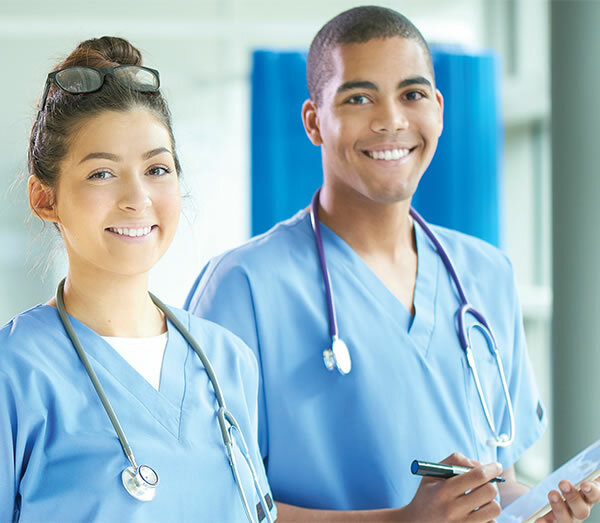 The training and development of the workforce in patient safety and clinical quality initiatives is recognised as essential, and is supported across the organisation. The roles and responsibilities for the workforce in relation to patient safety and clinical quality are well defined in role descriptions. Ramsay Health Care Australia has established robust structures and processes for the establishment and monitoring of clinical governance processes across the organisation. Health Care. Action plans to address any identified gaps are developed and implemented. aligned to recognised skills, facility licenses and organisational service capability. An informed and systematic approach to the development and implementation of policy and procedure is applied. of organisational governance, including to Risk Management and the Board. responsibilities of both the clinicians and Ramsay Health Care are explicit. Ramsay Health Care Australia recognises that on rare occasions adverse events occur; we aim to build a high reliability system through the comprehensive analysis of incidents, sharing of lessons learnt, establishment of robust Morbidity and Mortality reviews and implementation of evidence based care. Reporting of all clinical incidents and near misses is encouraged, and timely investigation of incidents to identify root causes, contributing factors, and system improvement opportunities occurs. Systems are established to ensure recommendations arising from incident investigations are implemented and their effectiveness monitored. Consumers, patients, staff and credentialed clinicians are informed of the outcomes of incident investigation processes. All consumer and patient morbidity and mortality, and outcomes of clinical care, are subject to critical analysis by the clinical team with an emphasis on the identification of system improvement opportunities. Actions to address any issues identified are developed and monitored. Identification of internal and external key clinical risks, issues, and resulting strategies for improving the safety of the system, are systematically shared across the organisation. The development, implementation, and monitoring of evidence based care, care bundles, and patient safety processes are supported across the organisation to minimise unwarranted clinical variation and clinical risk. Accreditation is an important driver for safety and quality improvement. All Ramsay facilities undergo formal accreditation processes against the National Standards for Safety and Quality in Health Care. Action plans to address any identified gaps are developed and implemented. Ramsay facilities engage independent accrediting agencies approved by the Australian Commission on Safety and Quality in Health Care. At Beleura Private Hospital we aim to minimise the risk of infection to patients, staff and visitors who come to our facility. This hospital has a number of programs in place to detect and prevent infections that are common within health care facilities. One of the most effective means to prevent infection spreading amongst patients is for all health professionals to wash their hands. Clostridium difficile – is an infection of the bowel that causes diarrhoea and does not cause problems in healthy people. Ramsay Health takes every precaution to prevent these infections from occurring in patients during hospitalization through a well-established infection prevention program. However, if an individual is unwell, taking antibiotics, taking some cancer medications or medications to supress gastric acid, they may be more likely to contract Clostridium difficile. These infections can be acquired in the community (community acquired) or during your admission (hospital acquired). The chart shows a breakdown of these infections and where the infection was contracted, as knowing where the infection started can help us prevent the spread to other patients. Hand hygiene is conducted in accordance with the ‘five moments’ that is; before touching a patient; before a procedure; after a procedure; after touching a patient and after touching a patient’s environment. Beleura Private Hospital participates in the national hand hygiene strategy through Hand Hygiene Australia. Hand hygiene audits are conducted three times per year. Visitors to this hospital are encouraged through appropriate signage to use antiseptic hand rub located throughout the hospital. The Hand Hygiene brochure has more information on hand hygiene. The risk of falling increases according to age with data suggesting that one third of people over the age of 65 years have one or more falls a year. Whilst falls can occur at all ages, the frequency and severity of falls- related injuries increases significantly with age. These injuries can include minor skin abrasions, joint dislocation, fractures and head injuries. These injuries may result in hospitalisation or an increased length of stay in hospital. The risk of falling can greatly increase when admitted to hospital due to a range of factors including illness and unsteadiness, adapting to a new environment, the introduction of new medications and walking in unsafe footwear or slippers. In 2015 Ramsay increased the focus on falls prevention in hospitals by appointing a National Falls Prevention Advisory Group. This group has standardized the approach to falls prevention across all Ramsay hospitals by targeting a structured risk assessment, policy and guidelines, equipment for falls prevention and clinical staff education. Our hospitals use a number of strategies to prevent falls and these include: targeted hourly rounding of patients identified as high risk of falling; ensuring that call bells and personal items are within patient reach; call bells are answered promptly and patients are assisted to the toilet at regular intervals. In addition, Ramsay has purchased low beds, falls mats, and patient alarms to minimise the risk patients falling whilst in our hospitals. Our Falls Prevention brochure entitled 'Keeping on your Feet' has more information on preventing falls. Our hospital reviews patients who have an unplanned readmission to hospital following discharge. Monitoring of this information is very important as it provides an indication of the effectiveness of our discharge planning processes. Ramsay Health Care doctors undertake surgery in many specialty areas which range from minor procedures to more complex surgery requiring specialised care. We monitor our patient outcomes by comparing any unplanned returns to theatre to other Australian hospitals nationally. The aim is to reduce returns to theatre where possible; however there are many factors which influence these returns and sometimes these returns may save a life. Unplanned returns to the operating theatre are frequently due to complications, for example to treat bleeding or other problems occurring early after the operation. Some complications following complex surgery are to be expected due to patients’ pre-existing diseases or conditions and the nature of the disease or condition being treated. Our hospitals monitor all returns to theatre and implement any quality measures which may be required so that our patients get the possible outcomes following surgery. This Hospital has recorded a Returns to Theatre rate that is above the General Average Rate (0.244) for this indicator. However, the facility rate is not considered by ACHS to be statistically significant. This facility has a complex case mix and in some instances returns to theatre may be lifesaving due to patient co-morbidities and condition. Medicines are commonly used to treat a variety of conditions in the healthcare setting and therefore it is important to measure the risk of errors. Beleura Private Hospital is continually reviewing and implementing a range of medication safety strategies to further improve performance in this area. The Australian Commission on Safety and Quality in Health Care has introduced a number of safety initiatives for medication administration and reconciliation and Beleura Private Hospital has adopted many of these strategies. This includes the National Inpatient Medication Chart which standardises the documentation on how medicines are prescribed and ordered. Adoption by Beleura Private Hospital of the User-Applied Labelling of Injectable Medicines recommendations has assisted in preventing medication errors related to the wrong route, dose or medication being administered. In addition, Beleura Private Hospital has medication administration policies and processes in place which have been developed using best practice principles. Beleura Private Hospital takes all medication errors very seriously. We encourage staff to report all errors no matter how minor they may seem. All medication incidents are investigated and actioned. Any serious medication incidents are investigated thoroughly and monitored by the national Clinical Governance Unit. Pressure injuries are wounds which form as a result of prolonged pressure to an area of skin. Pressure injuries are recognised worldwide as a common cause of harm to patients and could cause significant pain and discomfort which may result in a slower recovery for the patient. Beleura Private Hospital is well equipped with the latest equipment to assist staff to prevent these injuries from occurring. Patients are risk-assessed on admission using an evidenced-based tool. Staff follow a care plan which is targeted to minimising a patient’s risk of developing a pressure injury for those patients assessed as high risk. This includes inspecting the patient’s skin frequently, managing moisture, keeping the skin dry, optimising nutrition and hydration and moving the patient frequently or using special pressure relieving mattresses when needed. Our Pressure Injury Prevention brochure has more information on preventing pressure injuries. As part of your hospital admission, you may require a blood transfusion, which is a procedure where you receive blood through an intravenous cannula in your vein. Blood transfusions may be necessary for a number of reason for example: if you have a surgical procedure, you are anaemic or if your body is not producing sufficient blood cells. Blood transfusions can be a lifesaving measure, but is not without some risk and therefore are only prescribed after a doctor has deemed it necessary. Sometimes an adverse reaction to blood transfusion can occur and is treated immediately. Blood transfusion administration and management are governed by the Australian Commission on Safety and Quality in Health Care Standard for Blood and Blood products. Rehabilitation programs aim to enable the highest level of independence (physically, psychologically and socially) to people with loss of function or ability due to injury or disease. At the time of admission into the rehabilitation program the patient has a Functional Independence Measure (FIM) rating conducted by a qualified member of the rehabilitation team. The FIM is redone during and at the end of the program to determine the patient’s functional improvement and therefore the level of independence gained in activities of daily living. Progress in the areas of social interaction and psychological wellbeing is also measured. The FIM (functional independence measure) is the industry standardised functional assessment tool that is used by all Ramsay Rehabilitation facilities to measure this information. A higher score indicates that the patient has achieved a higher level of improvement in all the areas being measured. Ramsay rehabilitation facilities have achieved higher than industry average scores for functional improvement. Beleura Private Hospital focuses on listening and responding to the needs of our patients. Your feedback allows us to continually evaluate and improve on all aspects of our performance. We encourage feedback from our patients via our website; or via our patient satisfaction surveys. It is advisable that you express your concerns before you leave the hospital so we can fix any problems for you. The nurse in charge of your ward is a good start but if you remain concerned please ask to speak to a Director or Assistant Director of Nursing/Clinical Services. Alternatively, there are a number of other ways that you can voice a concern. Our website contains a link to the Private Patients Hospital Charter and this suggests a number of ways for you to express your concerns. To assess the improvement in a patient’s mental health issues, our facility uses the HoNOS (Health of the Nation Outcome Scales) - an internationally recognised scale. On admission and again prior to discharge, the patient's mental health problems are assessed. A decrease in the score on discharge indicates that there has been improvement in the patient's mental health problems since their admission. To assess the improvement in a patient’s mental health condition, our facility uses the MHQ-14 (Mental Health Questionnaire) - an internationally recognised scale. On admission and again prior to discharge, the patient assesses their mental health status. An increase in the score on discharge indicates that the patient has noted an improvement in their mental health conditions since their admission. The graph below shows the improvement in patient's self-assessed mental health ratings. Ramsay Health Care is committed to providing excellent care and encourages patients to be proactive partners in this endeavour. For this reason we conduct Net Promoter Score surveys among our patients to understand how well we are meeting expectations, and to identify any areas needing improvement. These surveys are independently conducted by a third party through our private medical surgical facilities in Australia and the results are published quarterly. Please note: the presence of an asterisk (*) beside the Net Promoter Score indicates less than 25 surveys were returned during the reporting period, which reduces statistical relevance. What does the survey ask? Based on your recent experience, how likely are you to recommend us to your friends and family? Depending on the rating (from 0 to 10), patients are asked to provide more information to explain their experience.